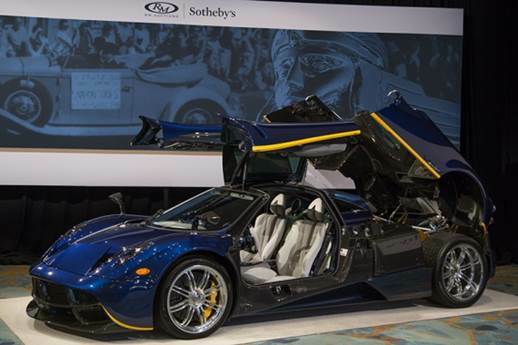 The RM Sotheby’s Amelia Island 2016 auction was held Saturday, March 12th on the grounds of the Ritz-Carlton Hotel in Amelia Island, Florida, resulting in $38,685,100 in total sales and an 89 percent sell-through rate. RM’s 18th annual sale at the Amelia Island Concours d’Elegance featured more than 90 automobiles. 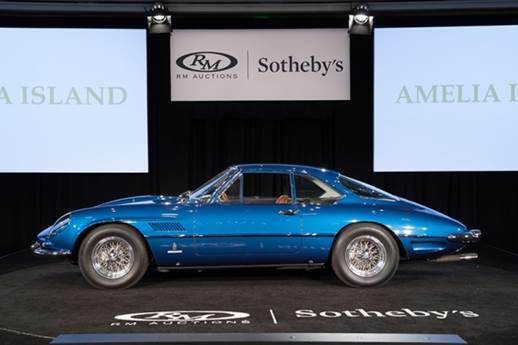 The auction was led by the 1962 Ferrari 400 Superamerica LWB Coupe Aerodinamico which surpassed its pre-sale estimate of $2.7 to $3.3 million to sell for $4,400,000 – a world record for a 400 Superamerica Coupe at auction. The car was the subject of a lengthy bidding contest as collectors in the room and on telephones sought the 1962 Turin Automobile Show car. This example, chassis 3949 SA, previously belonged to American sportsman Erwin Goldschmidt and remaining in his family for over 40 years. 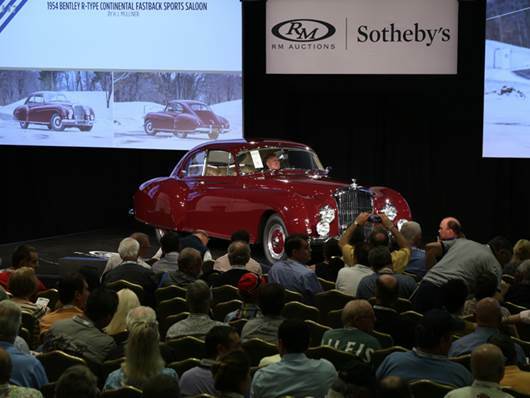 Another result from RM’s 2016 Amelia Concours sale was the 1954 Bentley R-Type Continental Fastback Sports Saloon, chassis BC2LD. Finished in the configuration of LHD 4.9-liter engine, center-shift manual transmission and “seats and spats”, the Bentley returned to Amelia Island after claiming Best in Class honors in 2010. Chassis BC2LD spurred a lively bidding war to bring an above-estimate $1,815,000, against a pre-sale estimate of $1.2 to $1.4 million. American Classics also performed well, with numerous lots exceeding estimate. This group was headlined by a 1932 Packard Twin Six Coupe Roadster, long regarded as the Clark Gable Twin Six, which realized a $1,210,000 (pre-sale estimate $650,000 to $800,000), while a restored 1931 Stutz DV-32 Convertible Victoria, another example returning to Amelia Island following earlier concours success, was also hotly contested, bringing a final $1,100,000 (pre-sale estimate $800,000 to $1,000,000). 1964 Peel P50, an example of the world’s smallest production car, generated $176,000, a record for a Peel P50 at auction (estimate $75,000 – $100,000). Beyond the automobiles, RM Sotheby’s was proud to lend its auction services during Saturday’s sale to support the fundraising initiatives of the Amelia Island Concours d’Elegance, with select charity lots raising $82,800 for Spina Bifida of Jacksonville. RM Sotheby’s continues its 2016 calendar with its biennial Monaco sale, May 14 during the Grand Prix Historique de Monaco. The Monaco event will lift the gavel of some 100 automobiles. For additional information, visit www.rmsothebys.com or call +1 519 352 4575.